Its so easy to break the habit of regular updates on this blog. This is the first Sunday LSR with my training partner as we get into the final push of the build to Dublin Marathon. 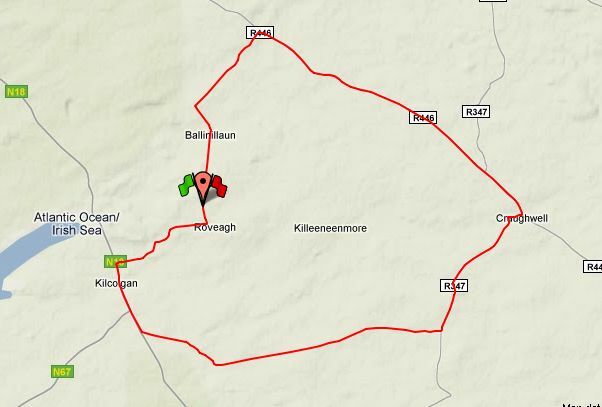 Our plan is to gradually increase the Sunday run from 26/27k to 32k over the next 4 weeks before starting to ease back on the final fortnight run in to the event. 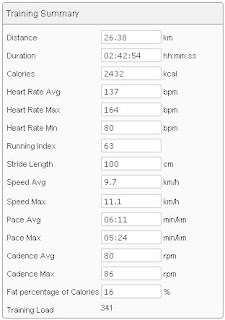 At this stage I have started to leave the Endurance running program as designed by www.polarpersonaltrainer.com behind in regard the long runs. The program is not specifically tailored for the marathon and is a general program for developing endurance. The long runs are being done as empty as possible. Starting without food and only bringing water or electrolyte drinks to ease the thirst. We each have a couple of gels along for the 'just-in-case' senario. The run out to the main road is grand. 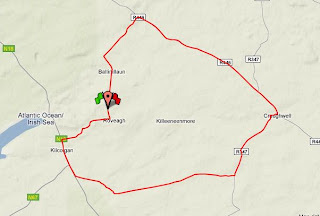 There is nothing really to say about it other than its nearly 3 hours of running along the side of a road. We were being conscious of the camber and the possible effects on the body as the result of excessive angles. 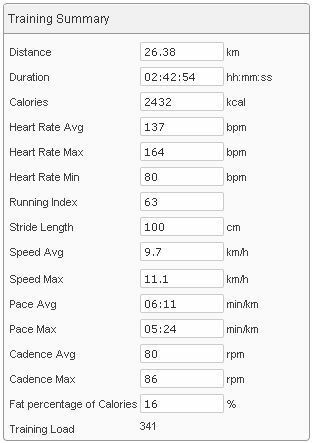 Over all the run was steady, I again was using the stride sensor and the figures are slightly out with the actual measurements, about a km short when compared to the Garmin measurements.